The work of filmmaker Ben Wheatley has been nothing if not diverse - each of his films has been vastly different to the last, jumping from dark thriller to darker comedy, and folk horror to dystopian drama. With action thriller Free Fire, Wheatley seems to be taking a more straightforward route, particular so after the brilliant madness of this year's High Rise. Justine (Larson) has brokered a meeting in a deserted warehouse between two Irishmen (Murphy and Smiley) and a gang led by Vernon (Copley) and Ord (Hammer) who are selling them a stash of guns. But when shots are fired in the handover, a heart stopping game of survival ensues. 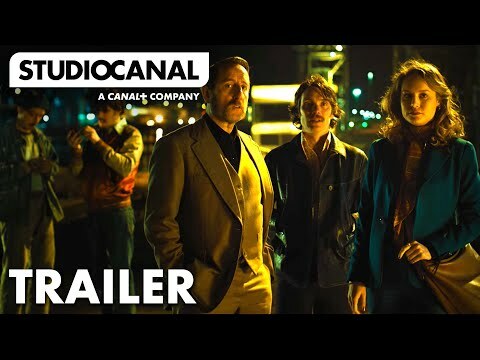 With Martin Scorsese serving as executive producer, Free Fire marks a further excursion into the (relatively) mainstream for Wheatley, but judging from the trailer, it will be packed with all the bizarre intensity we've come to expect from the director. Free Fire opens nationwide across the UK on 31st March 2017.